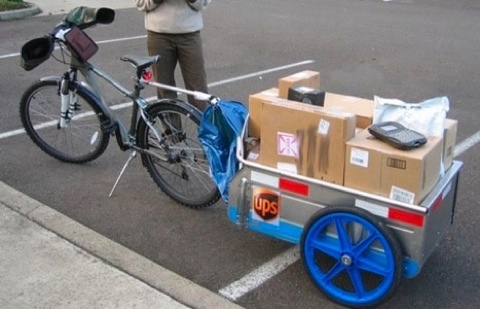 To handle the overload from higher-than-usual residential deliveries during this time of year, United Parcel Service is trying out doing some deliveries by bicycle. The men and women in the brown uniforms first tried bike deliveries last year in New Hampshire and Maine. This year, the company expanded its bike delivery services to Washington, California, Tennessee and Oregon.